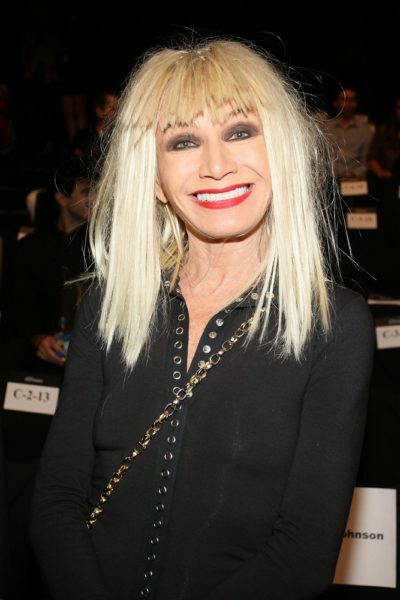 Place of Birth: Wethersfield, Connecticut, U.S.
Betsey Johnson is an American fashion designer. Betsey is the daughter of Lena Virginia and John Herman “Chick” Johnson. She was raised in Terryville, Connecticut. Betsey has a daughter with sculptor Clark Murray. Betsey has stated that she has Swedish roots. Betsey’s paternal grandparents were John H. Johnson and Tecla/Tekla A. John and Tecla were Swedish. Betsey’s maternal grandfather was William W. Ham (the son of Joseph F. Ham and Mattie). William was born in Virginia. Betsey’s maternal grandmother was Emma Jane Padgett (the daughter of William W. Padgett and Rachel Agnes Heek/Heck). Emma was born in Virginia. William was born in Virginia, the son of J. Padget. Rachel was born in Virginia, the daughter of Auguston Monroe Heck and Margaret Ann Short. Betsey’s maternal grandfather was William W. Ham (the son of Joseph F. Ham and Mattie). William was born in Virginia. Joseph and Mattie were also born in Virginia.